Parents will love this as a new baby gift. 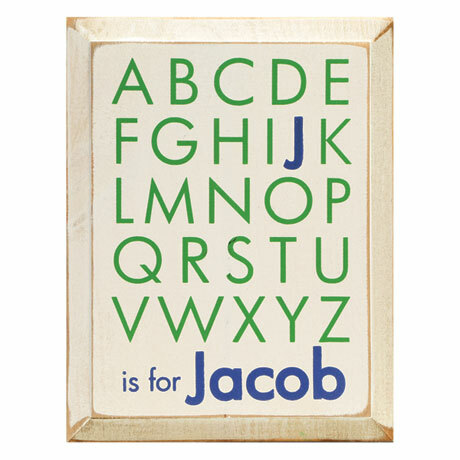 Kids learning the alphabet will love seeing their names. 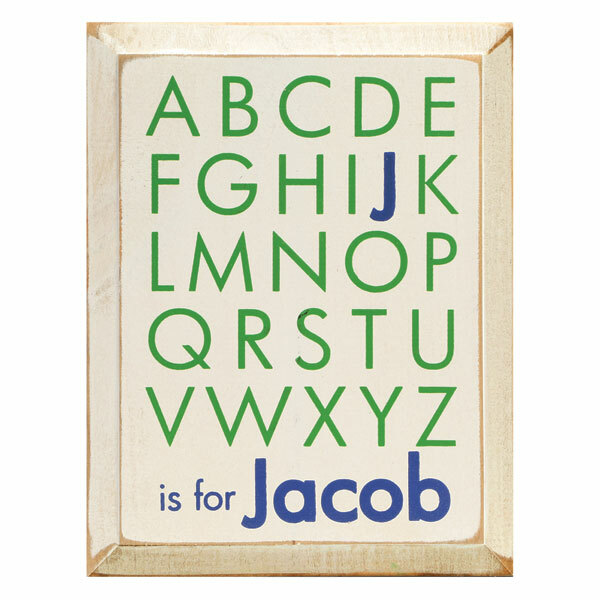 Made in the USA from knotty pine with beveled edges and a distressed painted finish, sign features the child's name (up to 10 characters) at the bottom. Within the alphabet, the first letter of the child's name is highlighted. Hanging slot on back. 9" x 12". Allow 2-3 weeks. 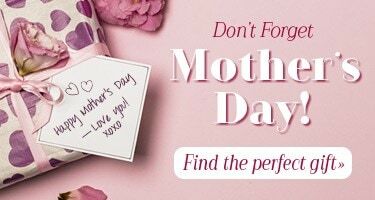 No rush delivery or gift box. Specify Blue or Pink letters. Item can only be shipped within the Continental US.